James Harrison's sculpture Baladeuse (which in French means either "wanderer" or "lantern") is made of laminated art glass and is lit from within. 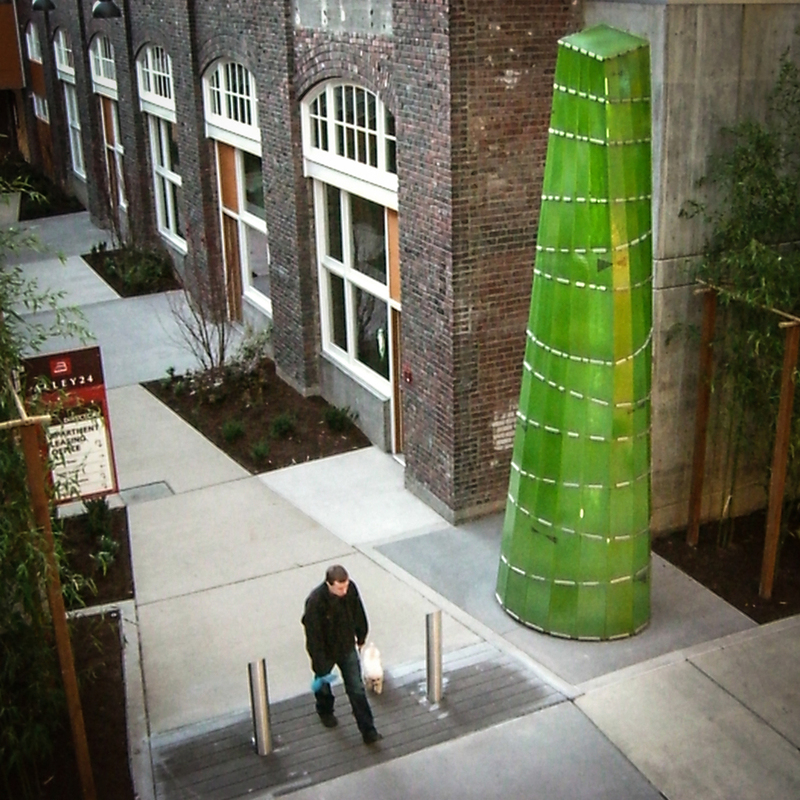 Though different in the daytime and night, the sculpture is a rich and lush presence at the intersection of the two alleys that define Alley 24. During the day, Baladuese reflects light; at night, it glows from within, revealing a tessellated pattern beneath its warm exterior.